I’m sitting here thinking about all of the things we need for the house. Not just renovations, but the “pretty things” too… like picture frames and curtains. It’s a lot easier to justify spending money on some of these items right now given that we don’t have the time or money to tackle a major renovation. That said, I decided to create a list of things I’d like to buy in the coming months. With a $300 monthly budget, here are some of the “pretty things” I’ve got my eye on right now. 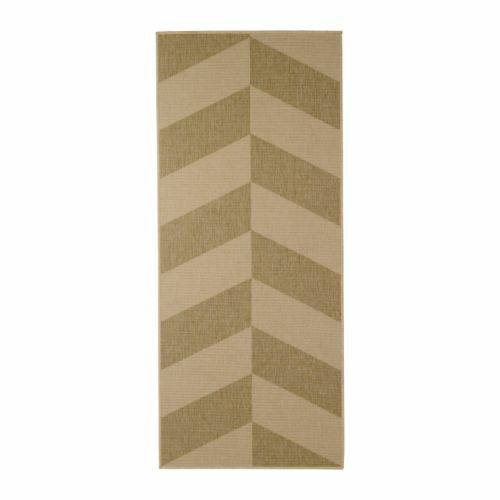 I really want this runner from Ikea. It’s just $24.99 and the neutral colors seem like they’d match perfectly with the earth-tones in our kitchen. The best part is that it’s super easy to clean and it’s durable…important things to consider for the floor of your kitchen. I’ve been trying to figure out something to do on the wall of our dining room for quite some time and I think I’ve figured it out! 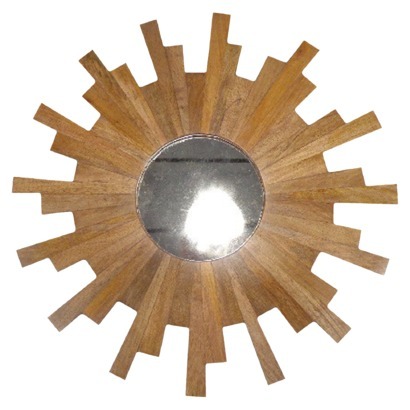 We have a 9′ wall opposite a window and I think this 24”-round Sunburst Mirror from Target would work just perfectly. It’s $50, which is a great price, and the wood stain ties in well with the wood dining chairs. You know those really expensive glass lamps that sell for like $200+ at some higher-end stores? Well you can find this bad boy at Target for just $19.99. 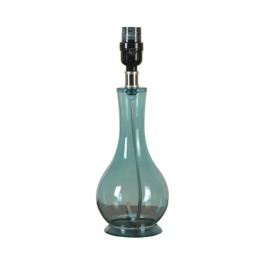 Thinking this would fit well in any room and I could switch out the lamp shades whenever I feel like it! Our master bedroom is painted a denim-blue color, but I don’t want plain white curtains. 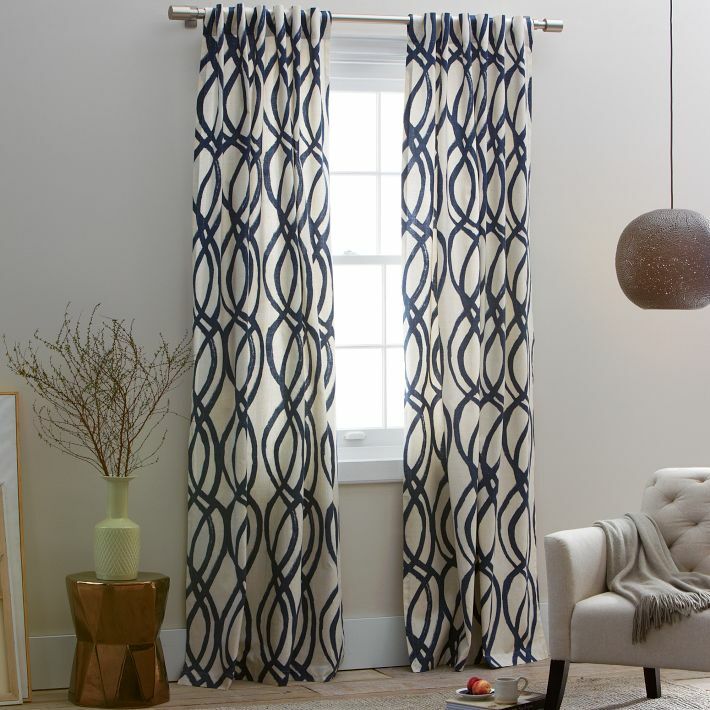 I like these curtains from West Elm, which have a similar blue tint and a scribble pattern. At $39 per panel it would cost a total of $156 (4 panels). But, quantities are limited so…I might have to find something else if I don’t get em’ soon. All of these items would total $250.98 (without taxes and shipping), which would leaves us with about $50 leftover for the month. I could rollover whatever is left and save it for next month…or, maybe I’ll buy a gallon of paint and FINALLY tackle our guest bedroom!! The possibilities are endless.